The Price is Right is headed to primetime. CBS has announced they will air three special primetime episodes of the daytime game show. The specials will be themed around three of CBS’ biggest reality shows—Big Brother, The Amazing Race, and Survivor. The special episodes will feature guest appearances from former stars of each reality show. Each guest will partner will a super fan of the show and play for a series of prizes. The three Price is Right specials will air later this year. In the meantime, new episodes of The Amazing Race just began last week. And the new season of Survivor begins February 17th. THE PRICE IS RIGHT, network television’s #1-rated daytime series and the longest-running game show in television history, is headed to primetime with three reality show themed specials to air later this year. The episodes, hosted by Drew Carey, will each celebrate one of the Network’s reality series: the Emmy Award-winning THE AMAZING RACE and SURVIVOR and the summer hit BIG BROTHER. Each will feature special appearances by the shows’ hosts Phil Keoghan, Jeff Probst and Julie Chen. In each primetime special, former racers, castaways and houseguests will partner with and play alongside super fans of their respective shows. Viewers and reality enthusiasts interested in playing for amazing prizes can go to www.oncameraaudiences.com for information on how to be an audience member and tape dates. Additional show details to be announced at a later date. What do you think? Do you watch The Price is Right? Will you watch the three primetime specials? More about: Big Brother, Big Brother: canceled or renewed?, CBS TV shows: canceled or renewed?, Survivor, Survivor: canceled or renewed?, The Amazing Race, The Amazing Race: canceled or renewed?, The Price Is Right, The Price is Right: canceled or renewed? These 3 special primetime episodes, are they for charity? I don’t think so. The Price is Right should bring back Celebrity Charity Week because they haven’t done it since Season 41. Someone better stop clicking the “thumbs down” on my comments and that’s very rude if you people better pay attention and not to be ignored. One of the reasons I dislike about The Price is Right is that when a contestant bid $1 more than the last person, it’s NOT about strategy it’s CHEATING and that person better stop being so “greedy” whether or not someone is going to get on stage and play a pricing game that usually makes them harder than ever if they win or lose something. 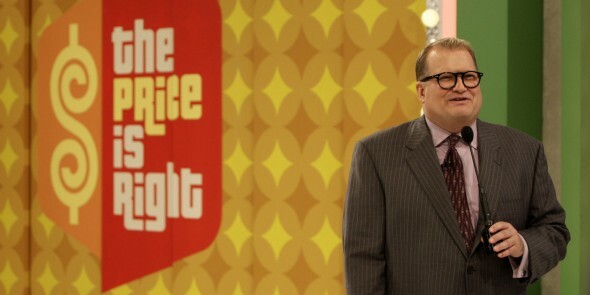 Does everybody want The Price is Right to get cancelled maybe next season? i love THE AMAZING RACE!